"Our deepest sympathy to Randy and the rest of the family. ..."
Ouellette, 83, passed away on the Lord's Day, Aug. 25, 2018 at Inland Hospital/Hospice in Waterville. He brought our loving father, husband, brother and friend, Roland, home to once again be with his wife, Jolene Anne (Cosgrove) Ouellette and family. 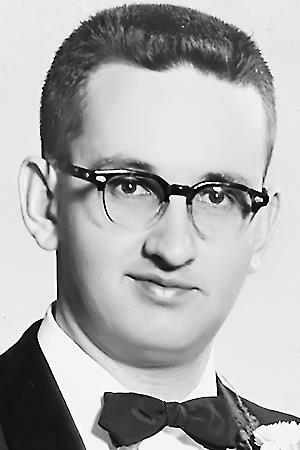 He was born May 18, 1935 in Waterville, the son of Leonel J. and Madeline (Martin) Ouellette. He served in the United States Air Force right after high school. Afterward, he entered the automotive parts world from the Elmwood gas station, Standard Auto Parts, Motor-Supply and finally becoming the owner/partner of the world Renowned R & R Auto Parts in Oakland along with his brother-in-law, Rosaire Rossignol. Roland was known as a "tinkerer", collector, of "stuff" and a good fixer of just about anything. However, his passion was his beloved son … wife, Jolene. They loved travel with family and friends. They enjoyed camping, eating out and stayed in many hotels all along the East Coast. Their favorite destination came to be Myrtle Beach, S.C. They loved to dine out, and see the shows. They made a lot of friends over the years there. He did "allow" my mother, Jolene, to shop and shop and shop all the while he most likely grimaced at the bills! Roland is survived by his son, Randy and his family, Helen and beloved granddaughter, Hayley of Peabody, Mass., whom Roland resided with the last two years; son, Robbie Ouellette and grandson Robbie Jr.; sisters, Priscilla Cote Ouellette, June and Bill Kirs, Carmelle and Rosaire Rossignol; Jeananne Ouellette and the late, great Raymond Ouellette and Linda Ouellette; many nieces, and nephews from the Ouellette's and Cosgroves; sister-in-law, Jeannine (Cosgrove) and Paul LaChance, Debbie Cosgrove; brother-in-law, "Mr. C" Danny Cosgrove. Dad has a special place for Peter Vachon and his great family of Vassalboro. Our family would like to express our gratitude and appreciation to the folks of Inland Hospice and Hospital for their gracious service to "Bullit" (Roland) and his family. A memorial service will be held Monday, Sept. 10, 2018 at 2 p.m. at the Maine Veteran's Memorial Cemetery (Chapel), Mt. Vernon Road, Augusta. Shortly following the service, there will be a gathering at the home of Priscilla Ouellette, Bill and June Kirk on Yeaton Street, Waterville. In lieu of flowers, friends and family wishing to make donations in Roland's memory may do so by direct deposit to multiple receptacles around the gathering to the RJO in "whatever amount I can get fund!!" "Don't forget to ask for a discount!"